I've always liked them Shaun. The wife has just got an A6 S line Quattro and it's very nice. I need to drive one though as the semi auto is putting me off but that's more than likely just me being stuck in my ways and not moving with the times. It will feel "numb" in comparison to how the Subaru drives, but it depends on what you're looking for really. I used to think that about the transmission prior to buying the A45, but since that and now the RS3, in all honesty I prefer a DSG type setup for a performance car now. It's just so effortless and effective. I suspect it's not for everyone though. The engine and the noise (need secondary decat removal) of these RS3's is pretty special imo. Will be interesting to hear how you get on. Last edited by Shaun; 14 May 2017 at 08:49 AM. Well I went and had a test drive in one today. I managed to talk my way into having it for a couple of hours as I knew the sales manager which was a complete fluke. I used to play football with him a good few years ago. Anyway this gave me the chance to look at it properly. I wouldn't say I was disappointed but I was underwhelmed by it. You were absolutely right Shaun when you said it would feel numb. I really didnt get the feel of the road that i do in the Impreza. It just seemed too detached from it and didn't give the feedback. So that was a big negative. I think had I been buying it as well as keeping the Impreza I'd go for it but buying it to replace it just doesn't work for me. Here's my reasoning. Selling the Impreza will just about get me into one but to get the RS3 anywhere near as quick as the Impreza is would no doubt cost the same again and that's just out of my pocket depth. I'd love one as a daily as I think it ticks all the right boxes for that. But I've also been reminded how amazing a 700hp Hawkeye is. It may lack the refinement and class of the RS3 but the RS3 will never put the smile on my face the way the Hawkeye does. Shaun, I'll follow this thread closely as I'm genuinely interested in your progress and hopefully when you've got it all built you'll take me down the road in it and convince me to change my mind. For now however the Impreza stays it's just too good to let go. Last edited by dazdavies; 14 May 2017 at 10:34 PM. Your review and comparison with what you currently have is of no surprise, hence why I was shocked you'd even considered the RS3 tbh. It's a totally different car to a Subaru, let alone a highly tuned one. For me I got out of Scoobies because I wanted something more compliant, luxurious, better image and much newer. The A45 AMG was the good middle ground step initially, but even that was a bit too chav for me so that went (although it was the tuning constraints that was it's real issue for me). Audi's are never going to be dynamic, but in all honesty I love the car. Has everything I want, is very comfortable and is quick for what it is. I'm not really interested in driving feel tbh. I just want it to be point and squirt with no drama. In comparison the RS3 will be boring to many who have come from our type of background. I totally understand that. I doubt a test drive in mine will change your mind, although I'll happily take you down the road when it's all done. I'm not looking to do anything chassis wise, so it will drive as they do...... just with a shedload more grunt! the detail you go into is incredible shaun!!!! the rs3 is an amazing car. 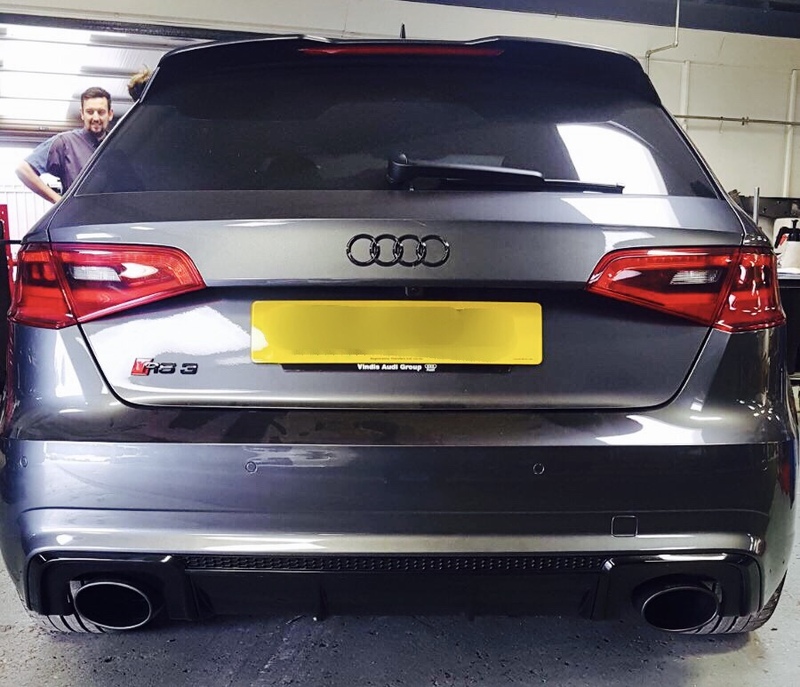 a friend of mine (the previous owner of my car) has a rs3 8p that has a revo stage 3 setup with a little extras and makes 507hp. the launch on it is amazing. the difference between my subaru (430whp) and his rs3 is after a long drive i'm tired after the squeaky brakes and a grabby clutch. he's just plonks it i drive and goes. the subaru is slightly faster when rolling but out the box i get a bit more wheel spin. one thing he complains about is the uprated engine mounts. the car is very rattly on idle. Putting it bluntly there have been some issues with being able to progress with the pre-production big turbo kit fitment. 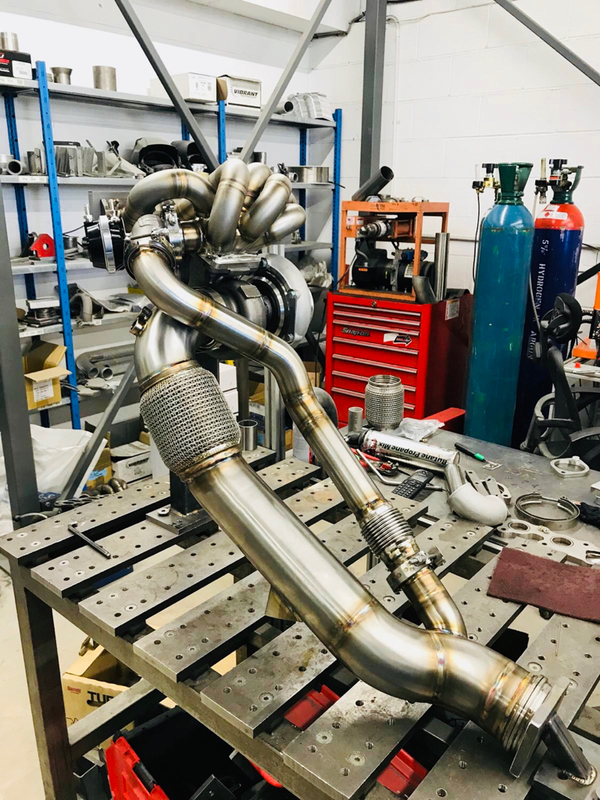 It has been suggested that the current manifold design may need some alterations made around the collector (which is where the five tubes meet for the turbo exhaust side). This will take at least 5 weeks to redesign and fabricate. Due to this, other competing workload and not enough hours in the day, I have been informed that it will be unrealistic to expect any real progress to be made on this until the Autumn. Believe me, this is disappointing but it is what is it. So I had a decision to make…… wait until the Autumn to start, and let’s be honest that could drift again, or take a different direction now. I chose the latter. I don’t know how this will pan out, but until I try then I won’t know. 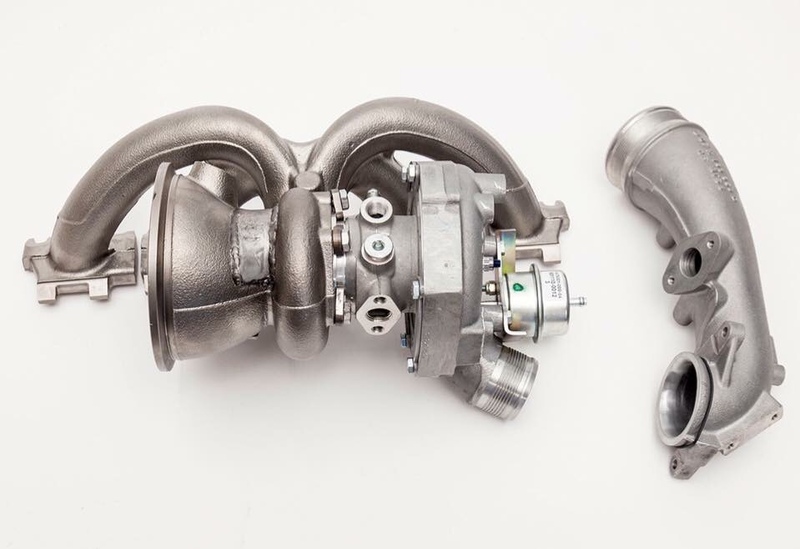 I have now decided to have a hybrid turbo created based on the OEM housing and manifold, so I have commissioned Litchfield and Turbo Dynamics to “crack on” with this. Ideally I never wanted to go down this route as this will fall well short of where I wanted the car to be powerwise, however, it’s more about the journey for me than any single result at any single point in time. In some respects it fits better now into the Staged approach I prefer to take, being more of a Stage 3 conversion utilising the stock turbo frame. Whilst I fully appreciate this has been done before by others, there are some ideas we’ve discussed to look at trying something slightly different to what is currently available. 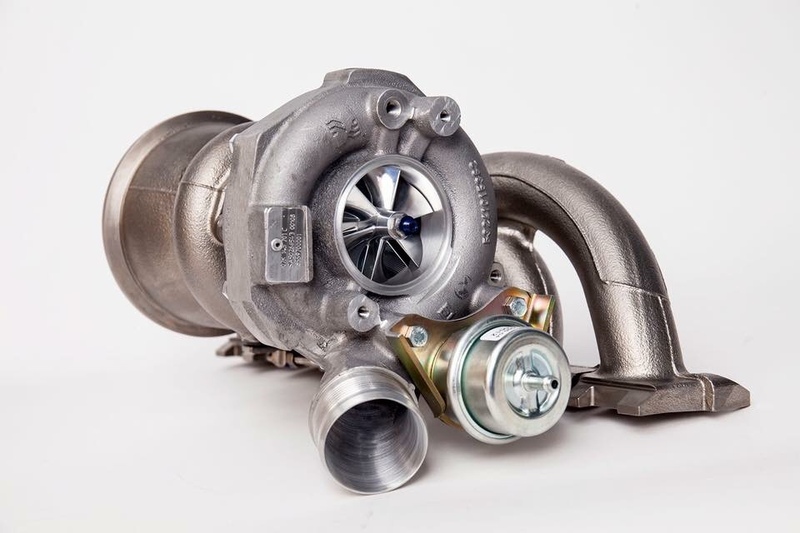 I’ll still be keeping one eye on the big turbo development, but I won’t expect to be up and running properly with that until the next drag strip season. In the meantime I’m hopeful we can make positive progress with a hybrid unit. I’ll update as soon as I start getting pictures and details back from Litchfield and TD. 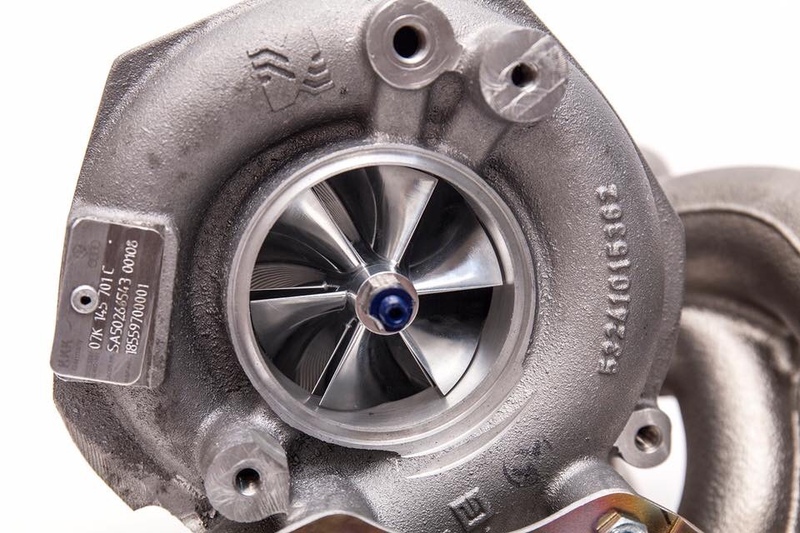 Current Hybrids on the 8V achieve around 500hp. 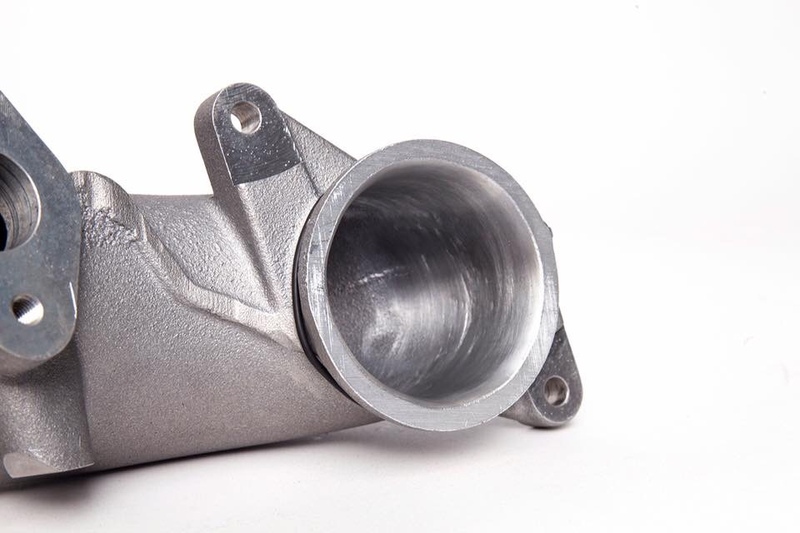 The issue is the hot side on the turbo and manifold design..... so there is a limit as to how much you can extract. We'll see though as we're looking at trying to make the whole setup as efficient as possible.... looking to see if we can fit an EFR core in. Surely someone else can make you a manifold. There's plenty of very very good fabricators out there. There's a handful within 20 miles of me for instance and some of the stuff they churn out is superb. By Superb I mean F1 quality too. I'm sure someone could do it Daz, but as that element of the kit is going to be key I need to use someone I know will do a good job. Nortech have a very good reputation in this area, and if I go with someone else it could mean other issues. I've been advised to stick with Nortech, so that's what I'll do for the time being. Always loved your updates on all project threads since the scooby days. I mind you had amg45 but not sure how it finished. And what kind of results you've achieved. The RS3 is a cracker of a car along with all the VAG range from the R to etc. 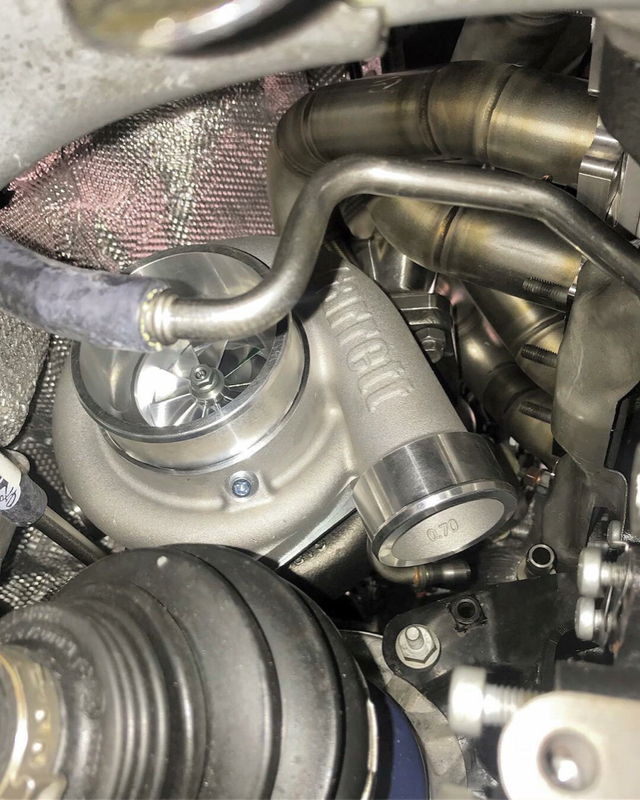 They have set blistering times on the quarter up and down the country with very little mods where to the point that subaru where getting beating unless it was a seriously modified one. I've currently got a hawkeye sti spec c typeRa and absolutely love it with just 340/340 set up. Nothing changed on it apart from a remap for shell v power. By that I mean full stock exhaust and inlet system. But behind the scenes I'm building a 2 dr typeR with a 2.3 ej22t avcs gt35 6sp box combo. It should be pretty quick. Nortech are one of the ones local to me and was one of the companies I was going to suggest. There's another guy in Sheffield that's equally as good. I'll find the details. 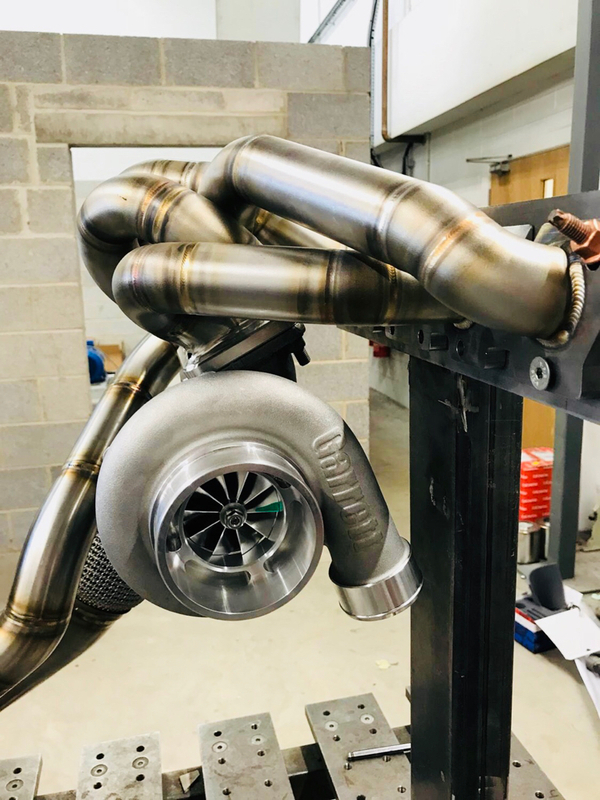 Stock blower is now off the car and is sat with Turbo Dynamics, being prepared for the custom Litchfield Stage 3 spec for testing! Last edited by Shaun; 13 July 2017 at 10:13 PM. 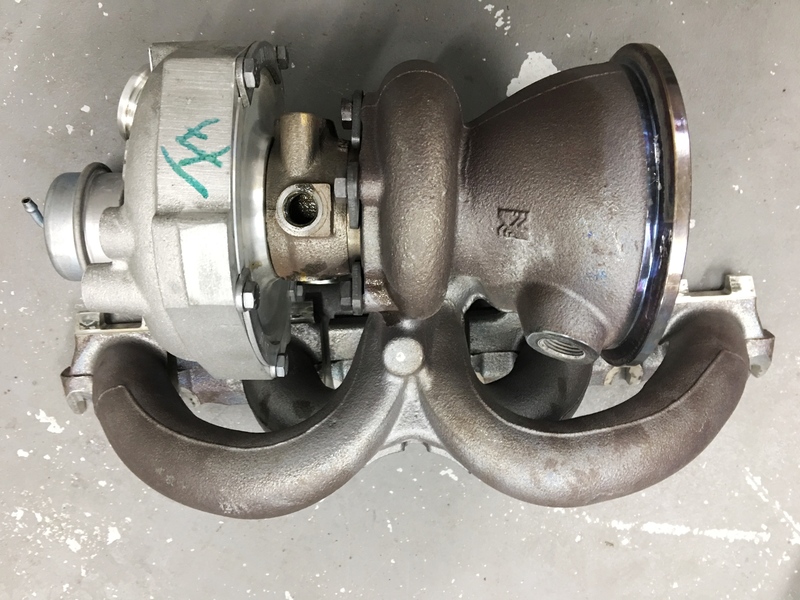 After what has been weeks (months) lol, my new Hybrid Borg Warner EFR Turbo has been done and is waiting for installation! 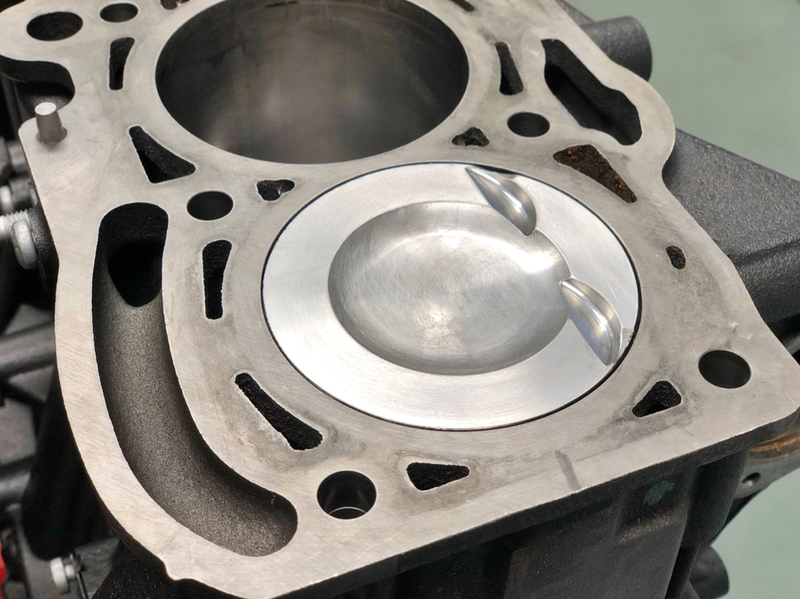 This has had extensive work to cram in a 7163 EFR core into the stock housing. 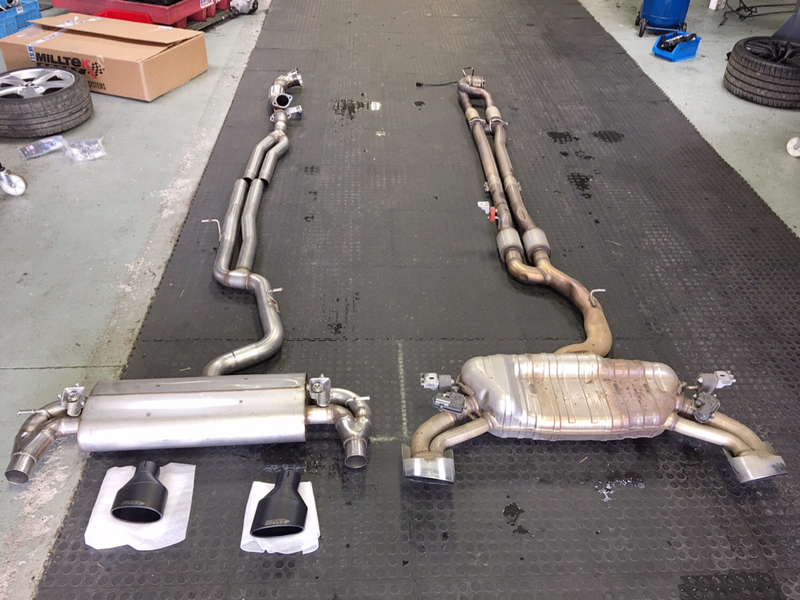 Cast inlet pipe and manifold have been ported. 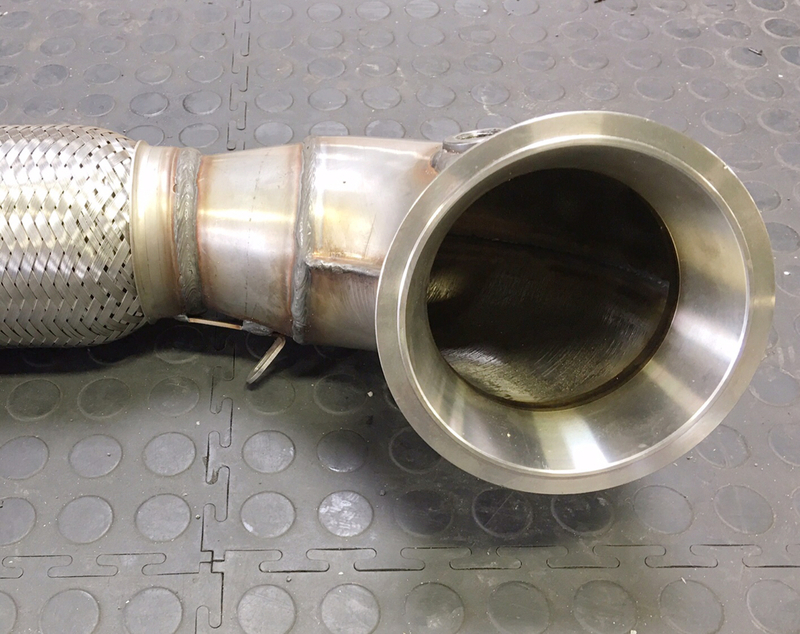 Exhaust housing has been strengthened to account for the very large turbine. Seals and actuator have been upgraded. Can't wait until we test this. Don't ask me how much power it will make.... we don't know! I'll find out soon though!!! 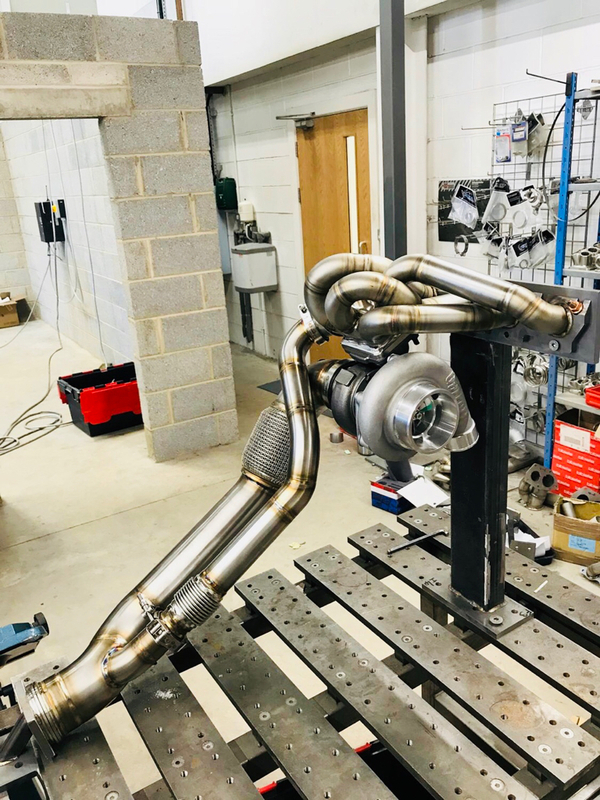 Core is capable of 550-600bhp, but it won't make that in this install due to the exhaust flow restrictions of the exhaust housing and manifold. Wow! I'm looking forward to seeing the results, should be ridiculous! Saw this on Litchfields Facebook post yesterday, thought it was for your car. Looks lovely. Slight misunderstanding of what was ordered and fitted. 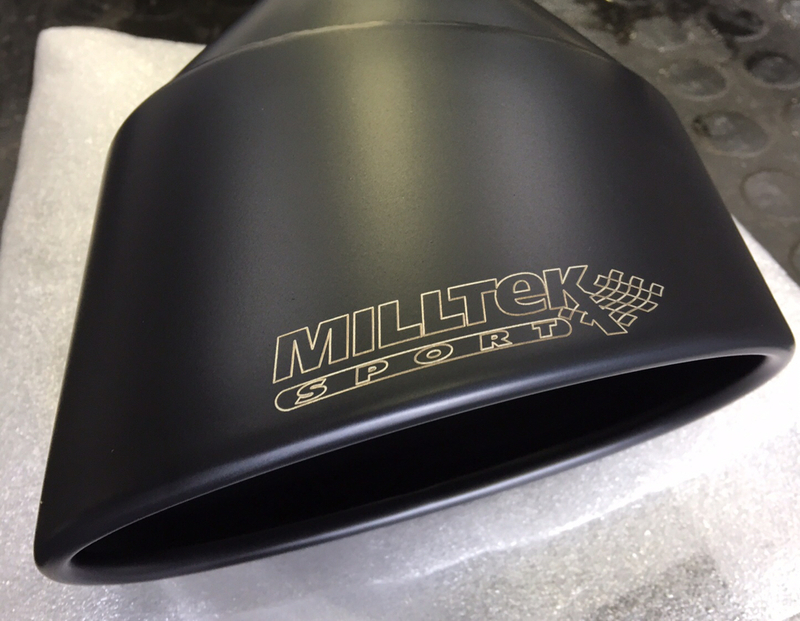 I've now got a full Miltek system on. 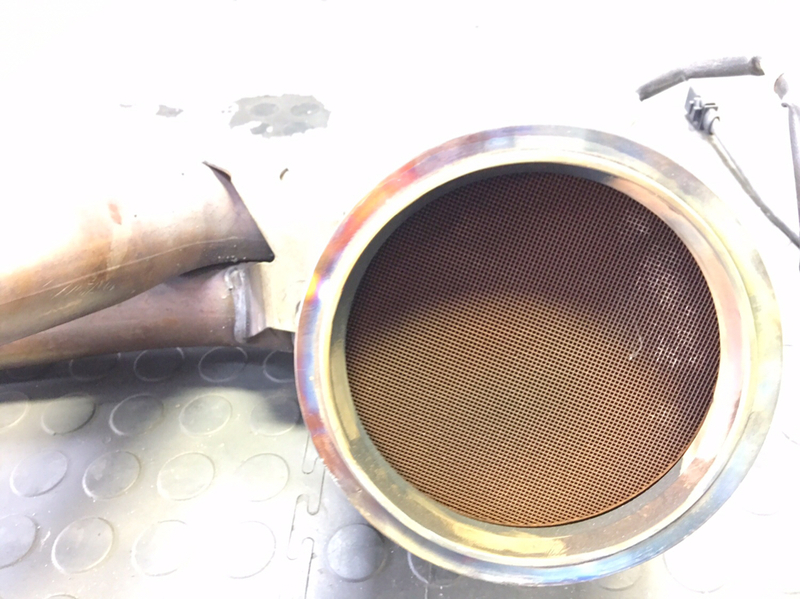 Decatted and no centre resonators. I'm going to see how this sounds. 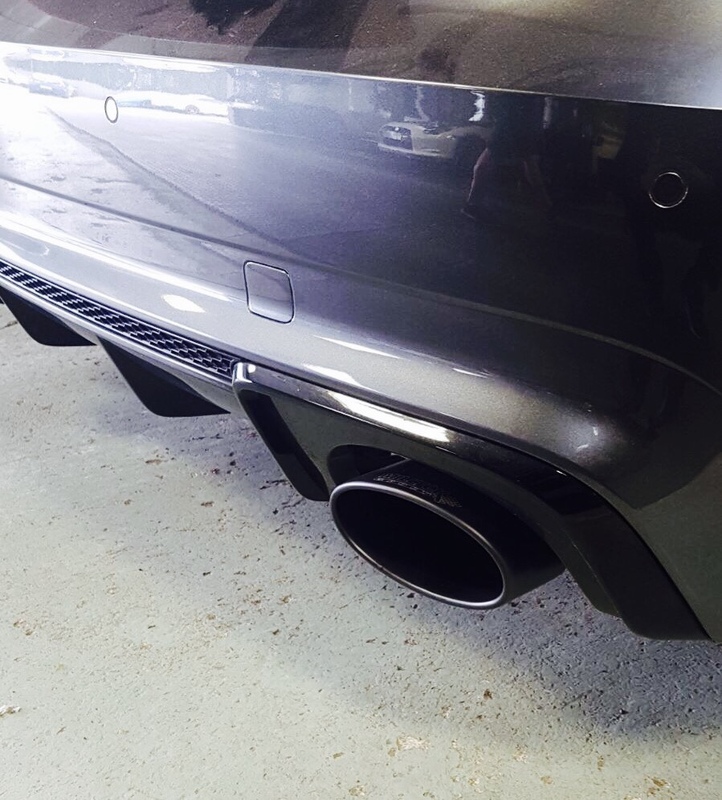 Exhaust tips look good though! The new VIS HPFP was also fitted this morning along with the NGK uprated spark plugs. The car will hopefully hit the dyno tomorrow for initial testing. Car had its inaugural Stage 3 run on the dyno this afternoon for logging purposes. The car made 430bhp on a short run to 5600rpm AND with only 30% throttle throughout the run. This was literally for logging purposes and the real mapping work starts from here. 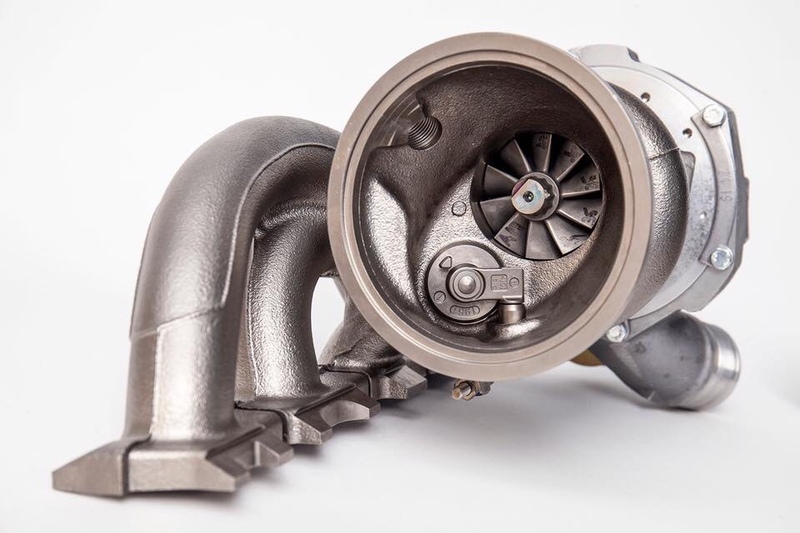 Can't wait to see what this turbo can do on a finished map with wide open throttle and the full rev range. 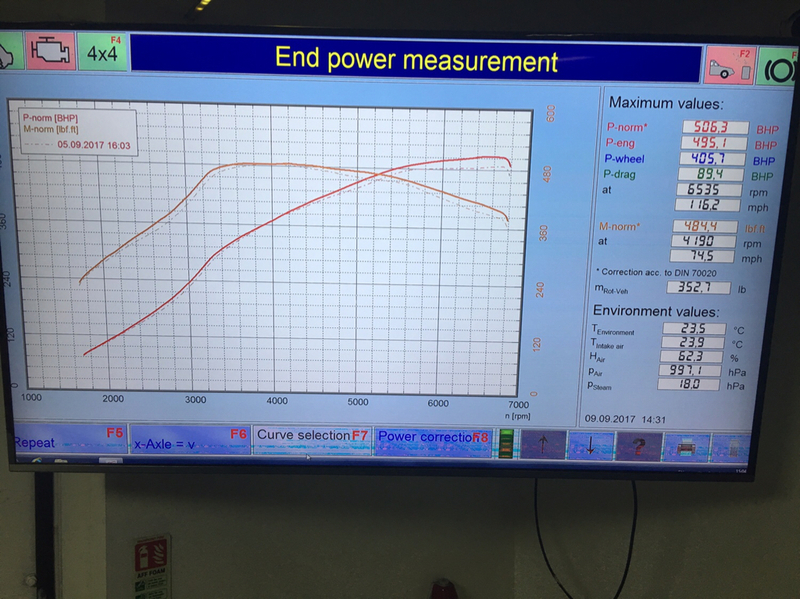 Unfortunately the car hasn't had any real dyno time over the past few weeks, but further progress has been made during the very limited dyno time available. As you can see the car is now over 500bhp with the mid range now taking shape with 485lbft. MAHA dynos tend to give around 5% less torque than most other dynos. I'd expect this to be well over 500lbft on other dynos. The map is very very smooth and torque is strong and flat through the mid range. Exactly how I wanted it from a general curve shape perspective. As before, ignore the peak figures for now. There's plenty more to do with the map. More boost, ignition map hasn't been optimised, cam timing hasn't been touched and fuelling map will be adjusted...... plus I'm still on the stock inlet! So, I had previously alluded to going a bit mental with Stage 3 and that ended up with the decision to pull the engine and forging it. The main reason for this was the fact that (at that point) I had decided I’d be keeping this car and wanted to remove any limitations the stock engine would have, opening up options for more extreme levels of power upgrades..... should I wish to change goals at a later date. 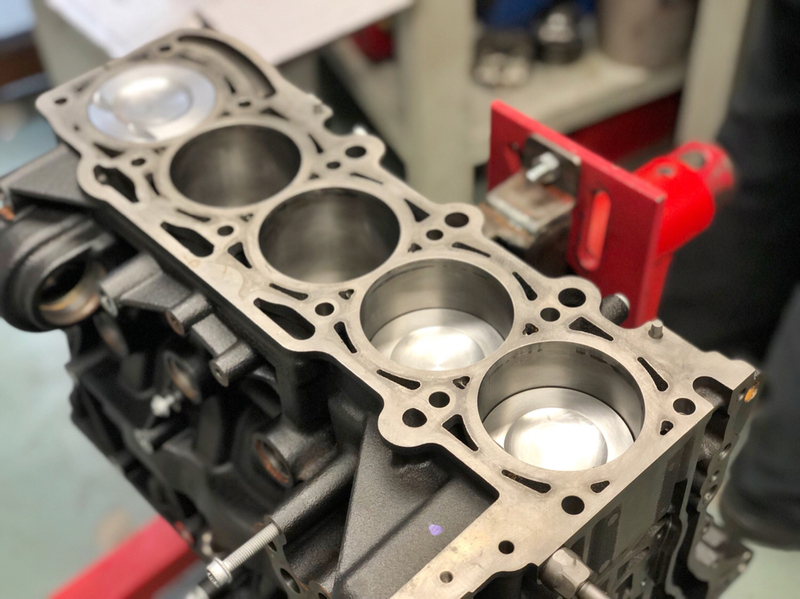 I’ll divulge the full spec of the engine soon in a more detailed update but effectively I’m running Litchfield custom spec Capricorn forged pistons, custom spec Arrow rods and a modified head. Engine is built and back in the ‘hole’. 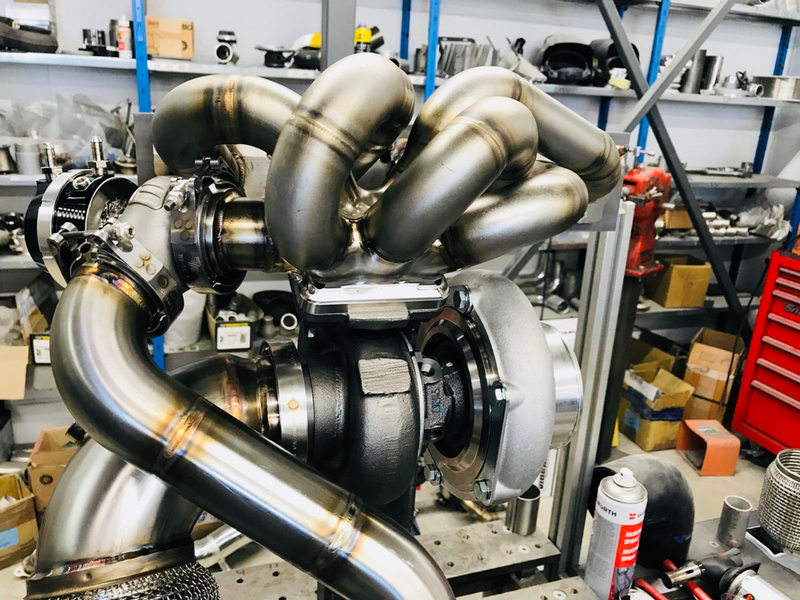 Final fabrication work is being finished on the turbo kit. 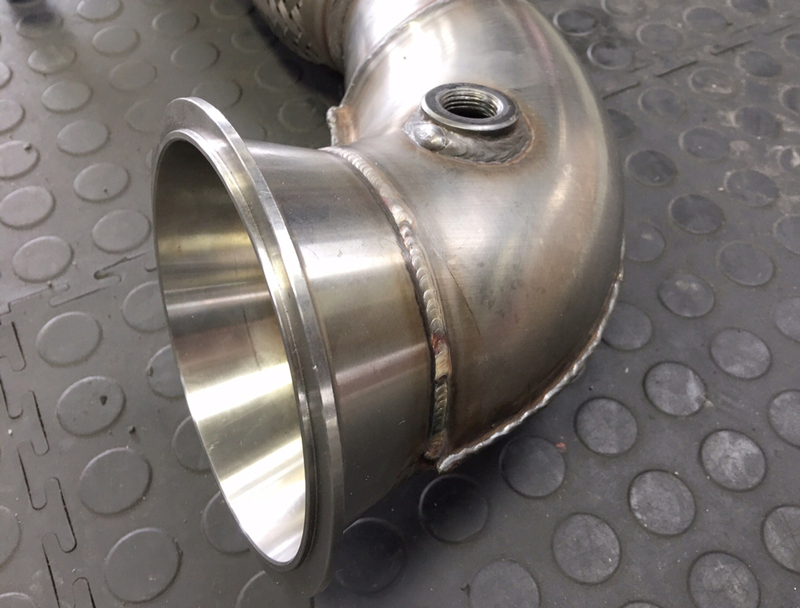 The ‘robotic’ welds on the manifold look amazing. To assist with this a whole range of blowers have been ordered. I also have access to a couple of hybrids but we’ll see how things progress. Can’t wait to get this to a position over the next few weeks where I can start testing and start writing up all the detail of what’s been done.... and how the car performs and drives with these different turbo’s. Project 9 start's here. Time to flex this built engine. I’ve had my 8v for nearly 2 years now but it remains stock. I looked into a Litchfield remap which retained the stock secondary cats which apparently comes in at 415/390 but decided against it. It’s already quick so didn’t really want to pay £600 for a bit quicker. 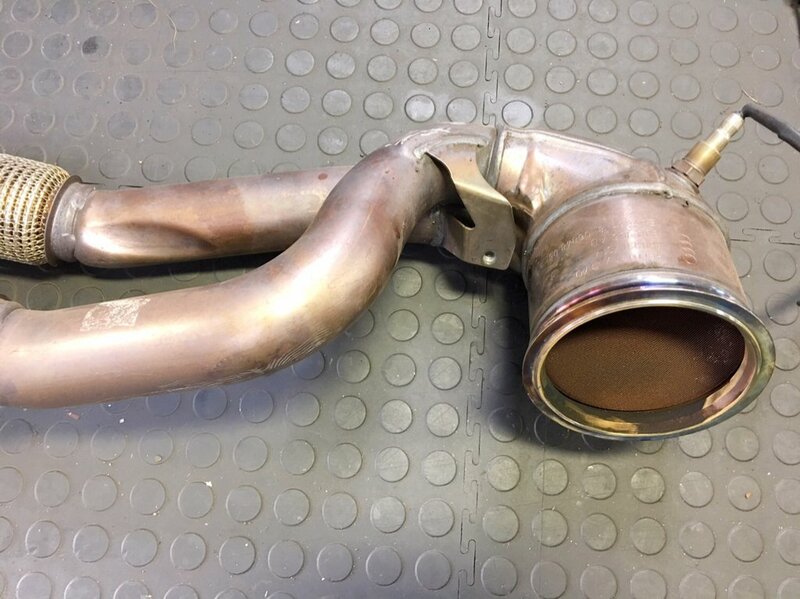 That downpipe and turbo setup is artwork. I would have that in my house to look at every day. Amazing. It's amazing really what these 2.5's are achieving now since development stepped up a notch with the release of the newer engine and bigger adoption by the yanks. A number of these RS3's are now getting into the 9's..... with one of the most recent ones being full weight road spec (apart from radials). lol It's mental. That is quite insane to be honest. Love where this is going. Really fancy upgrading to an rs3 after the Impreza. They just do everything I need. Just finally finished this after reading your A45 thread. It’s interesting to hear thoughts on the car; when we started a family I ended up selling my old widetrack blob and tried to find something that would still be exciting and fun on the road but with a bit more practicality and comfort for family duties. Since then I’ve had an e92 M3 (great cars but you need to kick the **** out of them to get the best from them which is tiring on a daily), Mk3 Focus RS with the Mountune pack (which I just didn’t gel with at all and had a whole heap of issues), and most recently the w204 c63. Have to say I love the engine and the theatre of the C63 but in the winter months last year it was pretty much a drive ornament and I ended up buying a JDM bug STI as well which got me through the snow no probs. Now thinking of swapping the C63 and potentially even selling the bug for one of the newer RS3’s. The C63 is a great car as a daily but the running costs aren’t great and it’s also nowhere near the handling of the e92, but it does have a lot of personality which is why it’s stuck around. It’s mainly down to the fact that I rarely ever get to enjoy the top end as a daily driver and it struggles to get the power down in normal “British weather” . Which year is yours Shaun and does it have Mag ride? I drove a few of the early ones (11/12 plates) and loved the engine but the interior felt cheap and the ride was way too hard on B roads around me which put me off. The fact that the more recent cars have a lighter front end and potentially better handling and ride is tempting me back to them again. just refreshed myself on this thread. Haven't read any since 2017... and im excited to see what the new engine can do. Sadly an RS3 is out of my price range currently, particularly a tuned one! So I'll be watching this thread with eagerness to keep myself entertained! Bet you can't wait to get it all dialled in, and use it in anger under normal circumstances. Mines a 2016 8V model. They now have the 8V2 (face lift) out now with the new aluminium engine. Yes, I have the mag ride. It's all very subjective though..... I would test drive one to see how you think it feels. They are certainly no Scooby in the chassis department, but I think they are very very nice (and quick) road car. It's been a long time coming and yes, I can't wait to get this ripping down the tarmac. A heavily tuned (similar spec to mine) facelift RS3 Saloon in the US is banging out 100-200 kmph in 4s flat. That's as quick as a Macca P1.